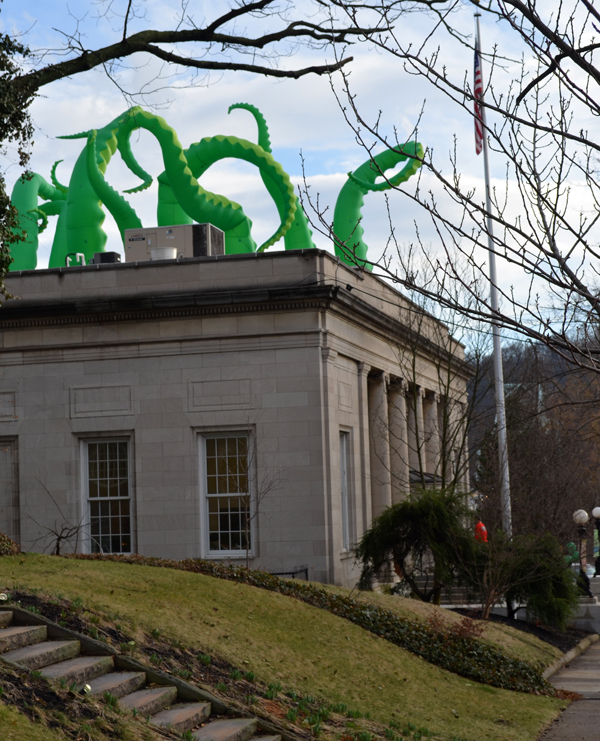 Well, we attended the “Wild Things Public Art Installation & Exhibition” juried by Cynthia Shaffer at Sweetwater Center for the Arts in Sewickley, Pennsylvania, which contained two of my artworks, and it was a ton of fun. “Longing” sold! I’m pretty happy that “I Hear You Have Crabs” did not, as I don’t really want to part with it. Here’s me with my fiance. 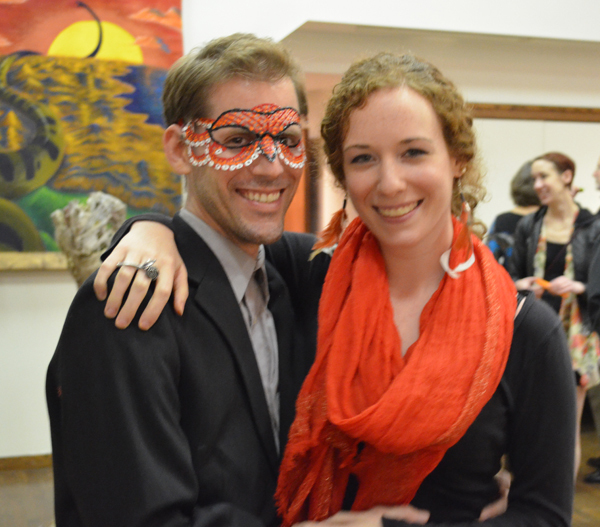 The artists were “highly encouraged” to create masks for the reception. 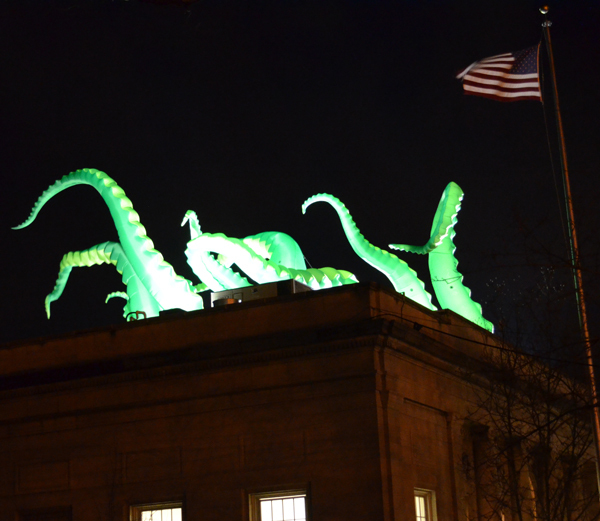 The building itself was adorned with these cool flowing tentacles. Next Next post: Art All Night 2014!